U.S. Alert is taking part in #ADA ROCKS! Cool backpacks filled with school supplies, gift certificates, free services, and much more! 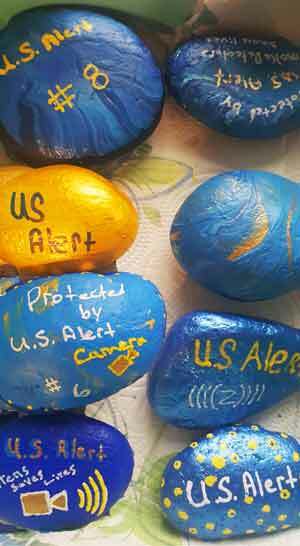 We will be hiding 20 painted US Alert rocks all around Ada. These rocks can be turned into our office and the finder of the rock may claim a prize! The prizes are going to include backpacks filled with school supplies, gift certificates, free services, and much more! If you are a lucky finder, your name will be entered for a drawing for even larger prizes after all the rocks are found! Thanks to our local business sponsors! US Alert is teaming up with several local businesses in town to make these prizes worth your while! 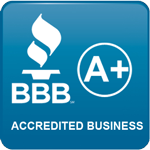 We thank the following businesses for all of their consideration and donations. What is #Ada Rocks and #AdaOK Rocks? Cities and communities all across the country are participating in a fun new hobby. Individuals paint colors, scenes, faces, cartoon characters and beautiful works of art on river rocks. The rocks are then placed – and often hidden – in public locations around town. Finders are encouraged to enjoy the tiny works of art and then re-hide them (We won’t tell if you fall in love with a rock and decide KEEP it!). It’s a fun activity (both hiding and finding) for both children and adults. It’s good exercise! It’s also a social activity – many people post photos of their rocks (along with rocks they find) on Facebook at #Ada Rocks or #AdaOK Rocks. Children love painting rocks and hiding as well as finding them. So join us in all the fun! If you find a US Alert Security rock, come by US Alert Security at 1110 N Mississippi Ave in Ada, Oklahoma. Finders can claim their backpacks on Saturday at 12:30 to 1:30 PM or Monday-Friday at 9 AM to 5 PM. One backpack per winner! To qualify, finders must “like” the US Alert Security page and “share” it. Yes, finders will have a second chance to win! If you find a US Alert rock you’ll not only win a backpack – you’ll be entered to win a second round of great prizes which will be awarded on Friday, August 11! We will announce the winners here! Good luck!